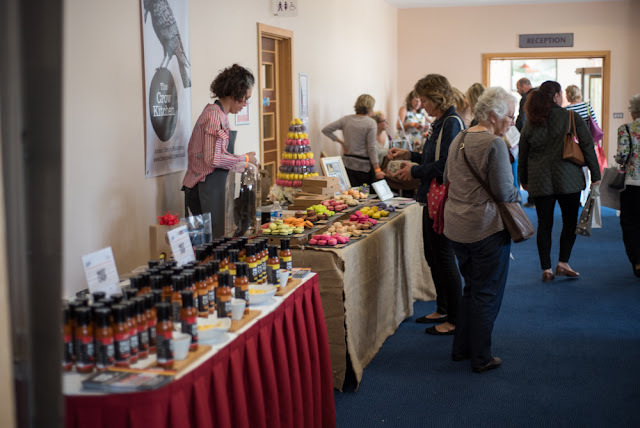 I first discovered Country Lifestyle Fairs last November when they had a beautiful Christmas Fair in Uckfield (where I met the lovely Anna from Tired Bear) and they were back at East Sussex National again today with their handpicked exhibitors. I loved browsing all of the amazing goodies on offer, there's so much variety with so many beautiful items. 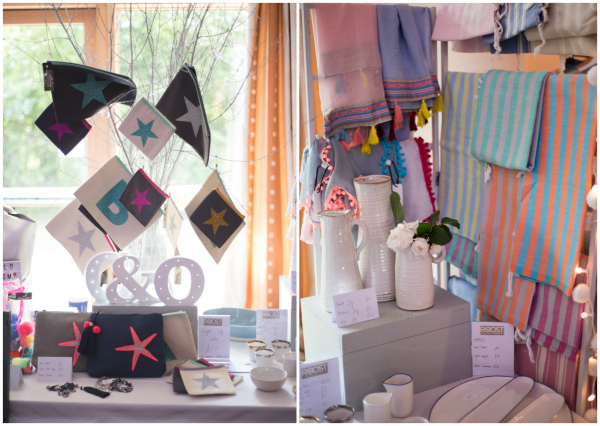 Often at fairs I find a few stalls with things I like but there are plenty of things at the Country Lifestyle fairs which are right up my street, I struggle not to go mad spending my cash on everything! The majority of stallholders are small local businesses often with homemade wares. 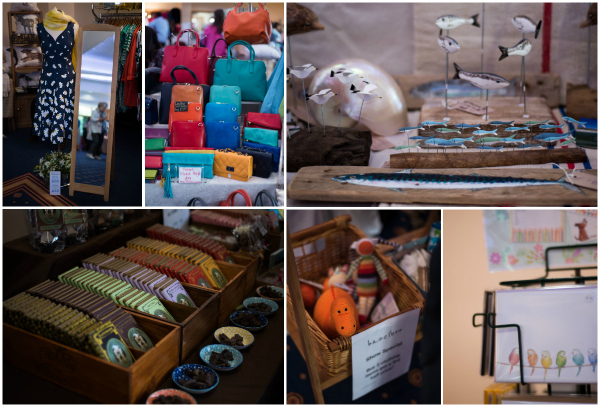 I did of course indulge in a couple of things and may have some new collaborations coming up too so I'm sure you'll be hearing more in the future but in the meantime, here are a few of my favourite sellers from the fair today. I found so many brightly coloured things, I was in heaven! You know I'm partial to rainbow colours so I was snapping away at my favourite items around the venue. 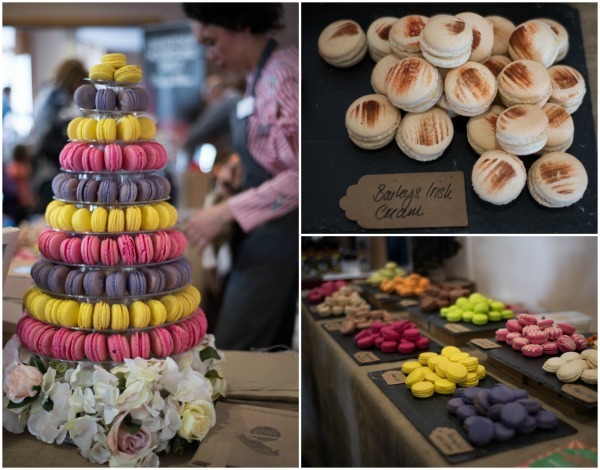 You couldn't fail to spot The Crow Kitchen's delightful macarons on the way in or out of the big hall, I had a few tasters and Oh. My. Gosh. They are good! She has a great range of flavours with some more unusual ones too. I loved the Passionfruit & Lemon and the Bailey's Irish Cream! Of course I was also drawn to all of the beautiful necklaces on show! 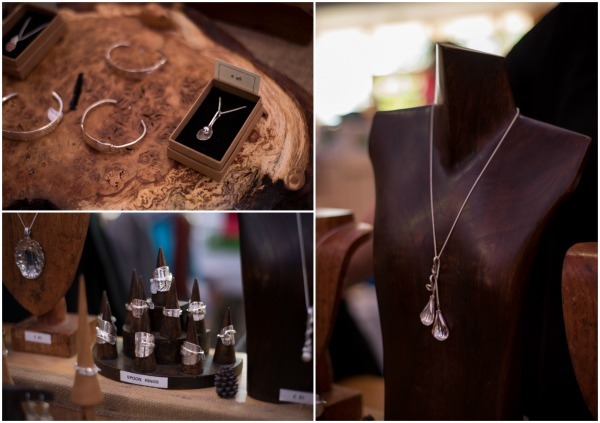 I love these ones by Mousie Murray Jewellery, made out of spoons and forks! Carolyn who makes them knows all the stories behind them, how old they are and what kind of spoons they were. They're so unusual and quirky. Another jewellery stall I was immediately drawn to was The Silkworm with various silk items for sale, I love the brightly coloured bracelets and they had matching necklaces in all of these beautiful colours as well. 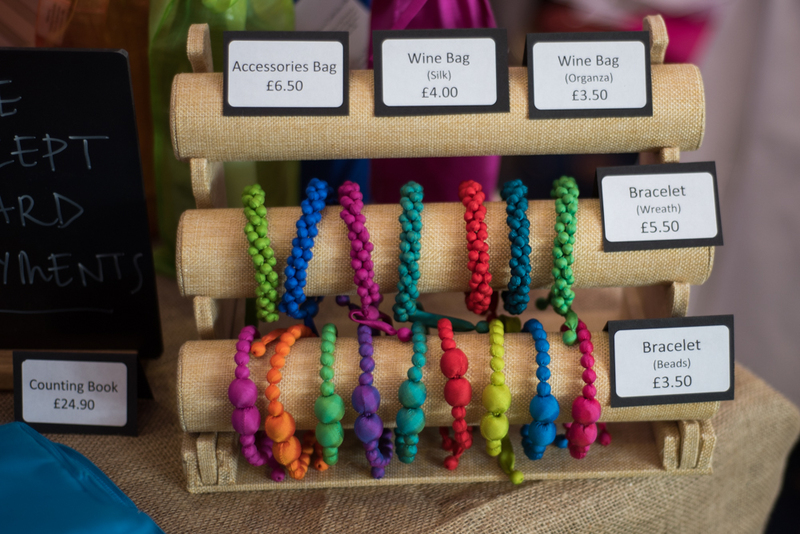 Not only that but they are in aid of the Tabitha Foundation, made by women in Cambodia. They're made from silk wrapped around beads in different designs and are such a good price, I bought 3 in different designs and colours to mix and match which will be featuring in my #necklace365 project very soon! I really loved this stall by Roost with a gorgeous display of glittery pouches and cute tassel and pom pom scarves. 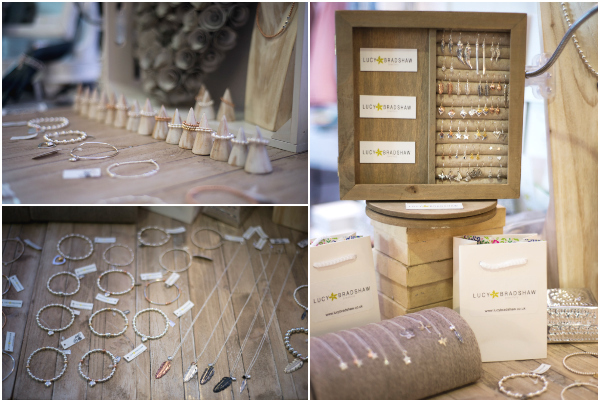 And Lucy Bradshaw was there again with her lovely fine jewellery designs which have since been featured in Vogue. 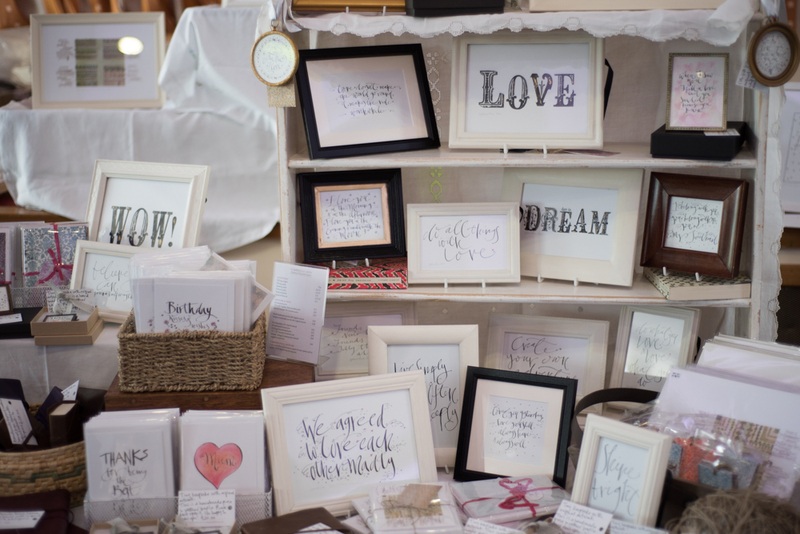 There were also plenty of stationery stalls with many different designs. I love these birds made of fabric stitched to card with layers of more stitching adding detail to the designs by Sarah Becvar. 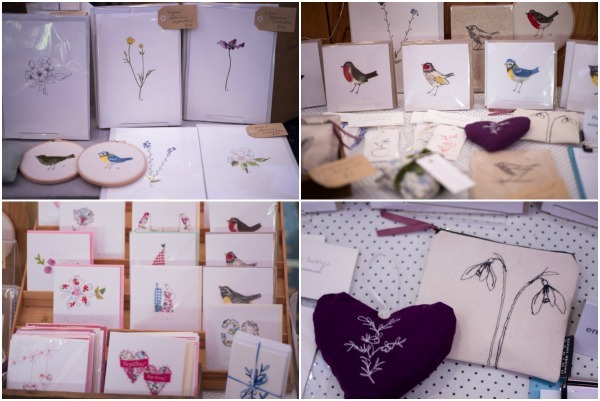 She also has some beautiful illustrations of flowers and embroidered purses. 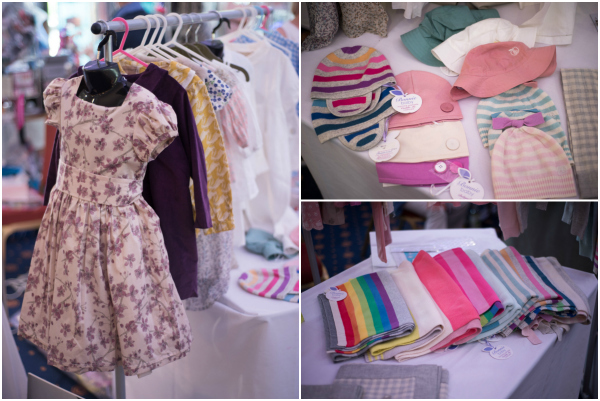 I also loved these cute children's clothes and accessories from Suri Mae, the rainbow blankets make me wish I had small babies again! 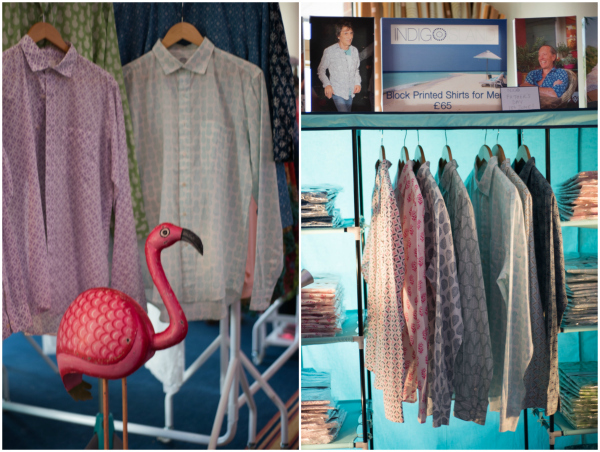 One of my favourite clothing stalls was actually for men, these fab block printed shirts by Indigo Island! I love the colours and light cotton, ideal for summer, they're designed in England and hand block printed in Jaipur, check out their Instagram for some gorgeous tropical photography and videos of the printing process. 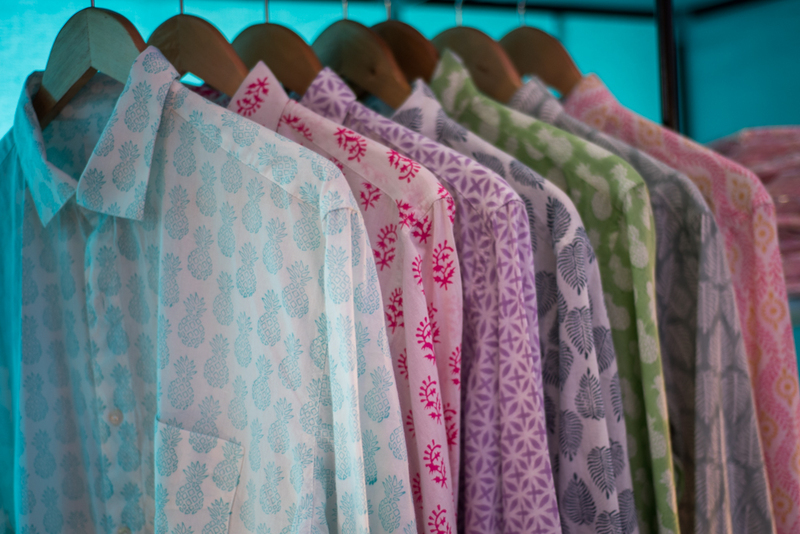 My favourite is "Lamu", the aqua pineapple print but I love the pink print, "Friday Island" too and the "Ithaca" leaves too for that matter! If Nik got one I would totally steal it as a holiday cover-up! It's about time I got some more fashion back on these pages! There was also a wonderful bespoke home wares stand called Berry & Grouse with hand made lampshades, upholstery and pin boards. 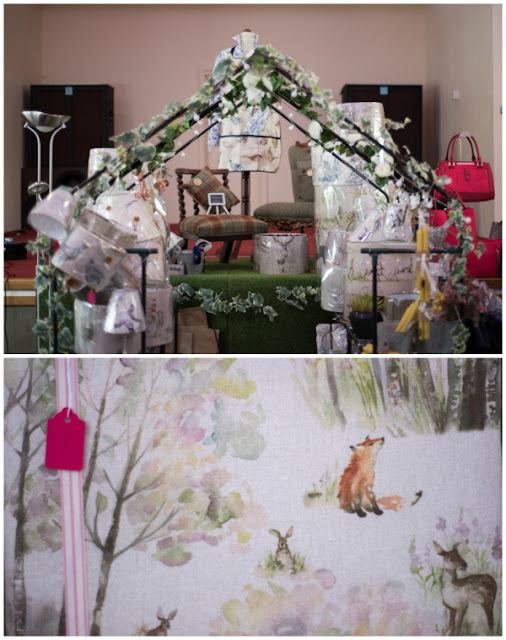 Cherry had some lovely fabrics with country style patterns including lots of cute animals. 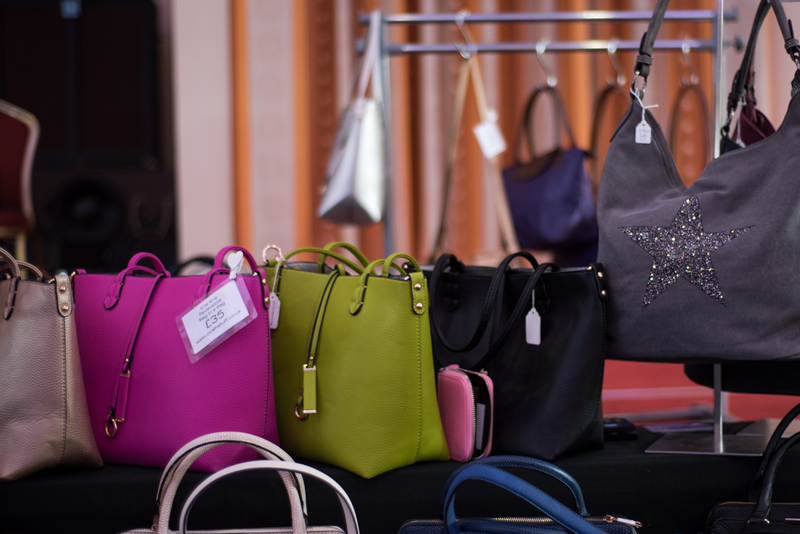 There were some lovely handbags from Posh Stuff. I was SO tempted by the green handbag - they're reversible with metallic silver on the other side and a little clutch inside too (if it had been gold inside I definitely would have bought it)! I loved the sparkly grey canvas star bag too. Clockwise from the dress: I love the daisy dress from SW19London, more bright and colourful handbags from The Branding House, cute little seaside themed ornaments from Ammonite Coastal Interiors, the budgie postcards from Phoenix Trading, colourful toys from hazelbou and locally made artisan chocolate by Rowdy & Fancy's Chocolate Ltd. in delicious flavours and gorgeous vintage style packaging. The fair is back at East Sussex National again on 23rd & 24th November for their Christmas event, I'll definitely be heading there for some Christmas shopping! It was lovely to meet you and your gorgeous twins yesterday, Bex. Glad you enjoyed the fair. I wish I'd had the new Dragonflies card by artist Claudine Rose with me, which has just arrived in the Phoenix summer range of designs - beautiful colourful dragonflies and a touch of sparkle!